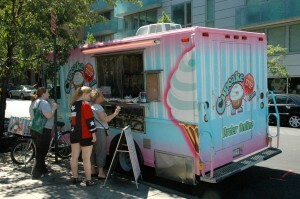 Cupcake Stop – New York, NY (@cupcakestop) – Food Truck Talk – Searching for the best foodtrucks! There’s always room for dessert, and there is always certainly room for a cupcake from New York City’s original mobile gourmet cupcake shoppe! The Cupcake Stop features traditional “stores” as well as multiple mobile locations roaming the New York City area. They feature flavors for everybody’s taste with flavors such as Chocolate, Fluffernutter, Mocha, Nutella Crunch, Oreo Crumb, S’Mores, Cream Cheese Brownie and a whole bunch more that they rotate on a regular basis. Fortunately the job market for recent law school graduates has not been rosey, therefore the founder of the Cupcake Stop decided on another “avenue”, the gourmet cupcake. 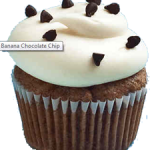 A talented and professional team of bakers were enlisted to help make the Cupcake Stop product as good as it could be! Nothing goes to waste at the Cupcake Stop, all leftovers are donated to City Harvest to feed the less fortunate! Delicous cupcakes and friendly service… all from a food truck! Perfect. Food Truck Maps – Not A New Idea!